MRT has announced that Eli Tanaskovska will be the commentator for viewers on MRT for the Junior Eurovision Song Contest 2018. Eli Tanaskovska is returning to the commentary booth for the first time since 2016, with this years contest being her third Eurovision event. Eli made her commentary debut at the Eurovision Song Contest 2016 in Stockholm, Sweden and then went on to provide commentary again at the Junior Eurovision Song Contest in Malta. Thirteen-year-old Marija Spasovska was born on 5th of October 2005 in Skopje, Macedonia. 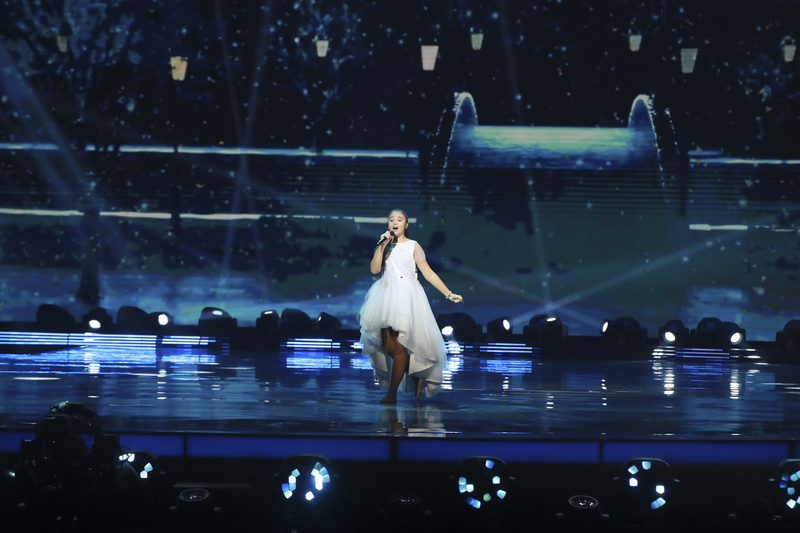 Marija has been singing and performing since she was 4-years-old, and is no stranger to national and international competitions. The young star has multiple awards and diplomas from music festivals, but her most notable performance to date was at the 2017 edition of Slavianski Bazaar in Vitebsk, Belarus.